40 - $96.99 42 - $112.99 Only 1 left! 44 - $112.99 Only 9 left! 46 - $112.99 Only 2 left! 48 - $112.99 Only 3 left! Formal parties can be so boring. Everyone wearing the same old black suits. There is never any flair. At least from the men. The women go all out sometimes. Their dresses are like colorful confectionery desserts. They have so much going on. We wish the men could have a little something like that. Well, we have been scouring the world over. Looking into the softest most luxurious silk from China. We found one of the best seamstresses in the world (an old woman named Emma from Belgium). Then one of our design team members wore a suit to our holiday party in December, and we knew we had wasted a whole lot of time, and money trying to make the most awesome suit. We couldn't have ever made the coolest suit we had ever seen, because it was already made. 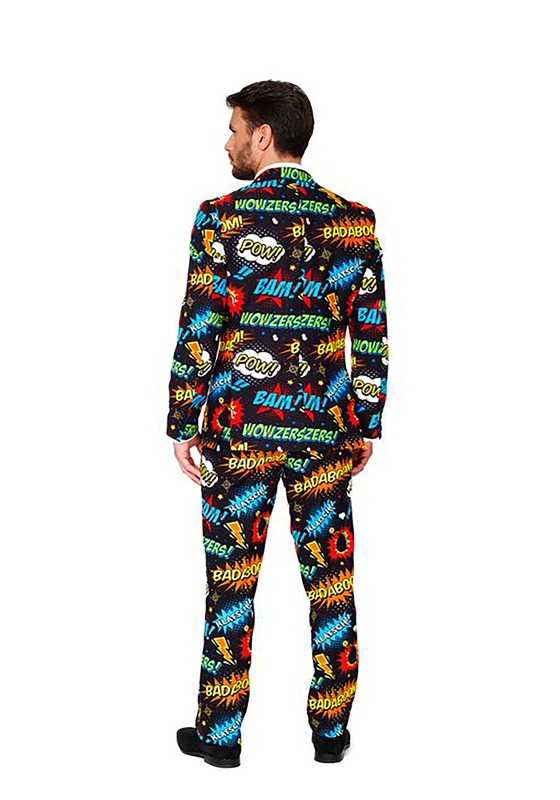 This Men's Opposuits Badaboom Comic Suit is the bomb. Look at all the colors. The "Pow! ", the "Bam! ", "Wowzers! ", and the "Badaboom!". 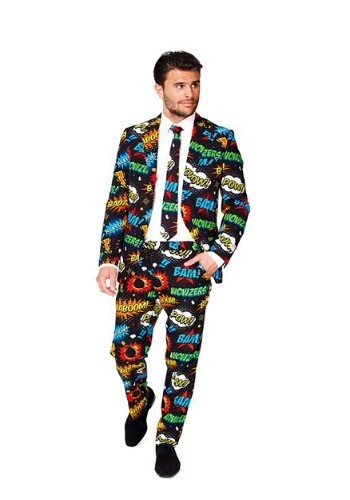 All that will keep you from blending in with the boring suits at your next formal party. 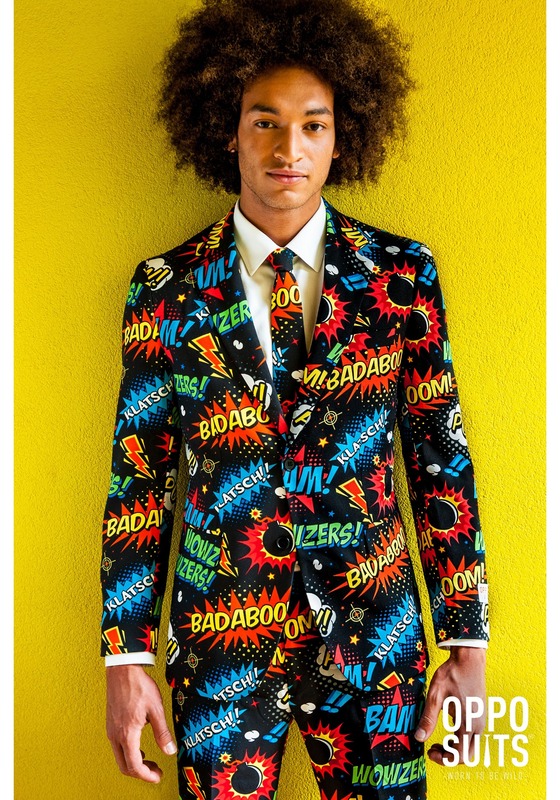 People will be saying that you are pretty "wowzers" in this Opposuit suit. Not even little old Emma in Belgium could sew a more badabing, badaboom kind of suit. Besides between the old broad trying to fleece us with the cost of the sewing, and the price of the Chinese silk, we would have surely gone out of business before you ever got your hands on our suit.